Want to know a secret? 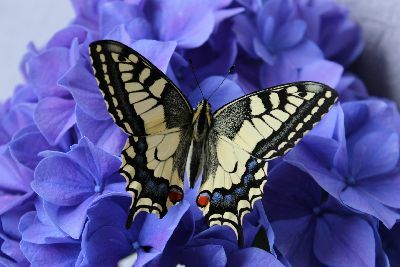 The key to attracting butterflies, beneficial insects and pollinators is to grow plants that flower. Now, you can certainly refine your approach to this, but planting flowering plants is the first step. Bees, birds, butterflies and beneficial insects love blooming plants as much as you do! These animals play an incredibly key role in the ecosystem. 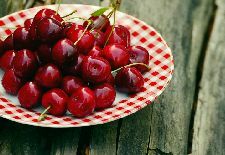 Declining populations from industrial agriculture and pesticides are wreaking havoc on our fruit, flower and food crops. At Nature Hills, we have expanded our plant palate to include many more natives and plants for your yard. You’ll be amazed at the many options to attract these important and beautiful creatures to your yard. Flowering plants for butterflies can be added to gardens of any size. 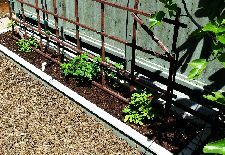 Container gardens can be filled with a variety of small flowering trees and shrubs, perennials and annuals. Include flower gardens as part of your manicured front yard landscapes – you’ll love the look! Next, remember that butterflies will need things blooming in your yard over all the seasons from early spring, late spring, summer, late summer, fall and late fall. Planning for an extended season of blooms supplies bees and butterflies with a constant supply of pollen and nectar. 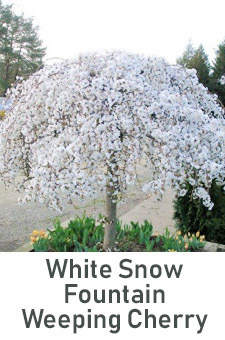 Choose a diversity of plants of different types, such as shrubs, trees, perennials and vines. Create layers of bloom in your habitat and use some evergreen plants for year-round cover. Search the Nature Hills website site using the seasonal filters to see spring, summer and fall blooming plants that work in your growing zone. It is very important to include some natives in your plan of succession of bloom. That’s because native plants attract beneficial insects to your yard, which help keep problem insects at bay without having to use pesticides. Native plants are plants that are indigenous to a particular area but may be adaptable to a larger region. Eastern Redbud is “native” to the Eastern half of the United States. However, because it is widely adaptable, it also works beautifully in Oklahoma, Oregon and Ohio. Of course, sometimes plants perform a little “too well” in other regions. That’s why Nature Hills complies with all state and local regulations for invasive plants. Horticulturists and plant science people work with native plants to improve them. For example, Lavender Twist Redbud tree displays a unique weeping habit. The recently released Scarlet Halo Dogwood tree blooms a deep, dark pink. Plant breeders are always on the hunt for new improvements. Sometimes, plants produce a single “sport” branch that exhibits a different leaf color, flower color, plant form, or even a variegation. These sports can be propagated and grown as a new selection of the plant that it came from. Many fruit varieties have developed from sport branches or seedlings. Another way plant breeders create new introductions of plants is to take two plants of the same genus that display different characteristics. Next, they cross pollinate the two, and then plant out the seed from those plants. The result of cross pollination can result in some interesting selections. These crossed seedlings show plants with some of each of the characteristics, or a mix, or maybe even something completely different. New selections of plants are called cultivars (cultivated varieties). Selections from plants that are native in your area are sometimes referred to as “nativars” (cultivars of native plants). Although the new plant is not native, it was selected to be an improvement over the native plant. Improved selections are propagated by the growers to ensure you’ll get a plant with those wonderful, carefully selected and tested characteristics. 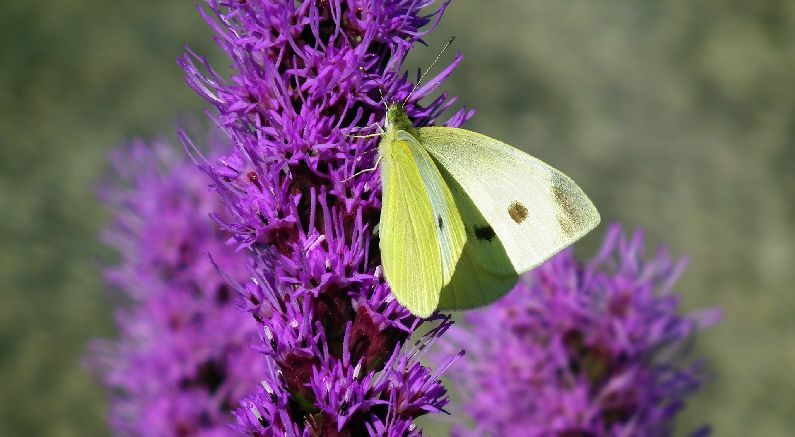 Those plant improvements, such as larger, longer lasting blooms, help support the unique needs of the local butterflies living in your area. Specific butterfly species have evolved to live or migrate through your area. 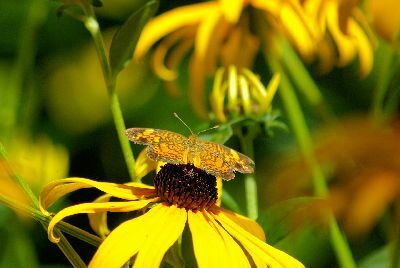 Start studying which native butterflies and moths float nearby your landscape. It would be nice if there was a “one size fits all” Butterfly Garden design. We could tell you to plant tough prairie perennials like Black-Eyed Susans and Coneflowers. Include flowering shrubs like Butterfly Bush, Viburnum and Weigela and bing, bang, boom – you’re done. But that would only tell you a few pages out of the whole story. Those tough prairie perennials may not work in your area. 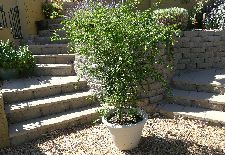 West Coast homeowners in California can plant Manzanita shrubs. Southern gardeners can grow Citrus trees and develop good “integrated pest management” practices to encourage beneficial insects, which control harmful pest populations. Read on to gain a high level understanding of butterflies. What do they eat and drink? Where do they feel safe? Imagine you are landing a gossamer-thin helicopter. What kind of flower would you prefer to land on? Butterflies really like simple, flat blossoms that face upwards. They make an easy landing pad. Yarrow and Coneflowers are great examples of this flat flower type. Buddleia, Phlox and Lantana produce clusters of flat topped flowers, which makes them a very attractive floral fast food. These plants are absolutely covered with butterflies every summer. Group plants together to create a nectar buffet. We recommend planting in curved drifts or gentle zig-zags. It looks great, and butterflies can see a mass of similar flowers better with their compound eyes. Butterflies love fragrant red, orange, yellow, purple and pink flowers. Nectar-rich selections include improved varieties of Amsonia, Asclepias, Aster, Buddleia, Coneflower, Coreopsis, Daisy, Gayfeather, Lantana, Lobelia, Monarda, Penstemon, Potentilla, Sage, Salvia, Sedum, Thrift and Thyme, among others. 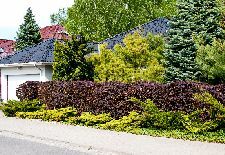 Give your garden protection from the prevailing winds with well-sited trees and tall shrubs. With their delicate wings, butterflies prefer sheltered yards in which to live, sleep, feed and lay eggs. Those same large plants also provide overnight shelter for butterflies. It’s best to plan your Butterfly Garden in either full sun or in an area with morning sun. Butterflies are cold-blooded and need to start their day by warming their cute little bodies in the sun. If you can, add a large flat rock to your garden bed for their convenience. Create a shallow Butterfly watering hole, which looks different than what you expect. They would rather not drink from deep bird baths, which can be rather a risky business for butterflies. Instead, create a muddy little “Puddling Station”. Fill a shallow saucer with a dirt, sand and then add water. Be sure to place in a sheltered area and check it frequently. If you can visit zoos with Butterfly Pavilions, ask lots of questions about butterfly care. In those facilities, you’ll see shallow dishes with rotting fruit placed in water among the flowers. Butterflies such as Monarchs, Painted Ladies, Mourning Cloaks and Admirals just love rotting fruit like brown bananas, watermelon, oranges and strawberries. Place the fruit out in the morning and pick it up at night so you won’t get too many mammal critters sniffing around. There are a lot of ideas out there – try skewering watermelon slices on a stick and placing them in the flower bed. This is a wonderful idea to spark the curiosity and interest of children of all ages. Teachers, aunts, uncles, grandparents and parents can create teachable moments when you take the time to share nature with children in this fun, hands-on way. It’s important to look at the entire life cycle of the butterfly. Remember learning about metamorphosis in grade school? Butterflies prefer certain “host” plants to lay their eggs, which then emerge as hungry caterpillars. The caterpillars eat the host plant, develop cocoons and finally emerge into gorgeous flying creatures. Welcome to the miraculous cycle of life, rainbows, sunshine and lollipops for everyone! 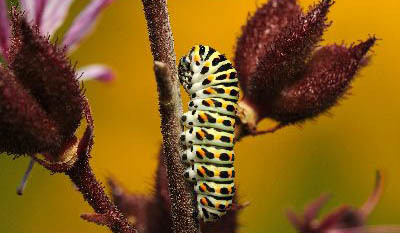 What are some of those host plants where butterflies lay their eggs and that baby caterpillars munch on? Stinging nettles, common milkweed, wild parsley, dill and other weedy, unkempt, shaggy plants which spread like wildfire. There may be some ornamental options that will work for your local area. 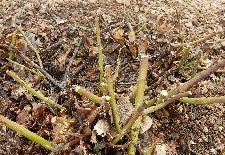 Look for improved varieities of milkweed. Spicebush Swallowtails choose the attractive Spicebush as a host plant. These host plants are best suited for "naturalized" plantings. Is there an untended area in your backyard or side yard? Consider planting critical caterpillar food host plants behind the garage or shed or over by the wood pile. Please call your local agriculture extension before you do that. You do not want to order weedy plants online from vendors who may not follow all state and local regulations. You don’t want to risk unleashing terrible pests or invasive plants in your yard and community. Finally, you'll want to strive to maintain a balance in your landscape. The days of mindlessly reaching for a can of insecticide or pesticide to take care of problem bugs are over. Let’s look at some more eco-friendly options to control insects and disease that are very effective. For those occasions that you have insect problems, consider physically removing the problem bug. Try using an insecticidal soap, followed by a high pressure water rinse as your first option. For those cases where you may need to consider using pesticides, be sure to follow the label instructions for the plants they can be used on, and for the insects that they can treat. Look for formulas that include plant-based chemicals. Then consider timing. Use treatments when the plants are not in flower, so you don’t harm any wildlife attracted to the bloom. You can see why it is important to include some plants native to your area to attract the beneficial insects – like the lovely ladybug – to your garden. Helpful insects can help ward off problems with a more natural approach. Attracting beneficial insects to your yard is smart. Limiting pesticide use is smart. And keeping harmony in the garden with a constant supply of food for your bees, butterflies, and beneficials should be your goal. Love butterflies? Start small or go all out to create a complete habitat. 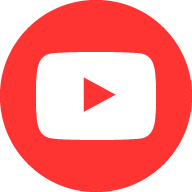 You’ll love this fun rewarding new hobby.